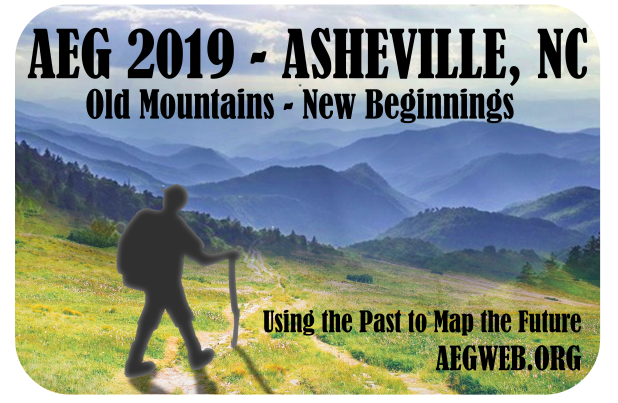 The Association of Environmental & Engineering Geologists (AEG) Carolinas Chapter has been in existence as a separate Chapter of AEG since 1988. AEG Carolinas serves the environmental and engineering geology profession and the public in North Carolina and South Carolina. AEG contributes to its members’ professional success and the public welfare by providing leadership, advocacy, and applied research in environmental and engineering geology. If you are interested in becoming a member of AEG, click HERE. We invite you to participate in our quarterly meetings. If you would like to subscribe to or unsubscribe from the newsletter or e-mail distribution list, contact HERE. Our quarterly newsletter, GeoNews, provides news of the profession and information about upcoming meetings and events. Click HERE to view.